What is the Difference Between a Mezzanine and a Work Platform? A lot of the time, the terms mezzanines and work platforms are used interchangeably. However, this can lead to big problems for potential projects due to International Building Code’s different requirements for each structure. Typically, a mezzanine is defined as an intermediary floor in a building that is open to the remainder of the room, thus not extending over the whole floor area. IBC building code specifies that the entire area of the mezzanine or mezzanines in a room may not take up more than one-third of the overall floor space that it occupies below. This rule applies with only a few exceptions with Type I and II construction. Mezzanines under section 505.2 are considered a part of the story below and do not contribute to the building area or a number of stories the building has. However, the area of the mezzanine will need to be included in the overall fire area of the building. Also, the mezzanine will require a clear height above and below of a minimum of 7 feet. However, local building codes can have a further impact on the codes and guidelines required for the mezzanine. A room may hold multiple mezzanine systems if the total area of the mezzanines does not equal more than a third of the total overall space. Standard mezzanine light storage will have a psf of 125. If the mezzanine system is rated for “heavy storage” the psf can be 150 and above. Similar to mezzanines, equipment platforms will not contribute to the building area or the number of stories in the building. However, unlike mezzanines, the equipment platform is not considered a part of the below floor and will not be used when considering the building’s fire area. An equipment platform cannot be a part of a mezzanine system and should not be considered as part of a building’s means of egress. As for the area limitation, the overall area of an equipment platform can cover up to two -thirds of the floor space below. If a building has both a mezzanine and equipment platform, the mezzanine will still need to only cover one-third of the floor space, and the total area of the mezzanine and equipment platform may extend to cover two-thirds of the below floor. The equipment platform will require a sprinkler system if the building is already protected by an automatic sprinkler system. Regularly, companies will try to use our bolt-together system and frame the structure as a work platform in order to help with the permitting and approval process. 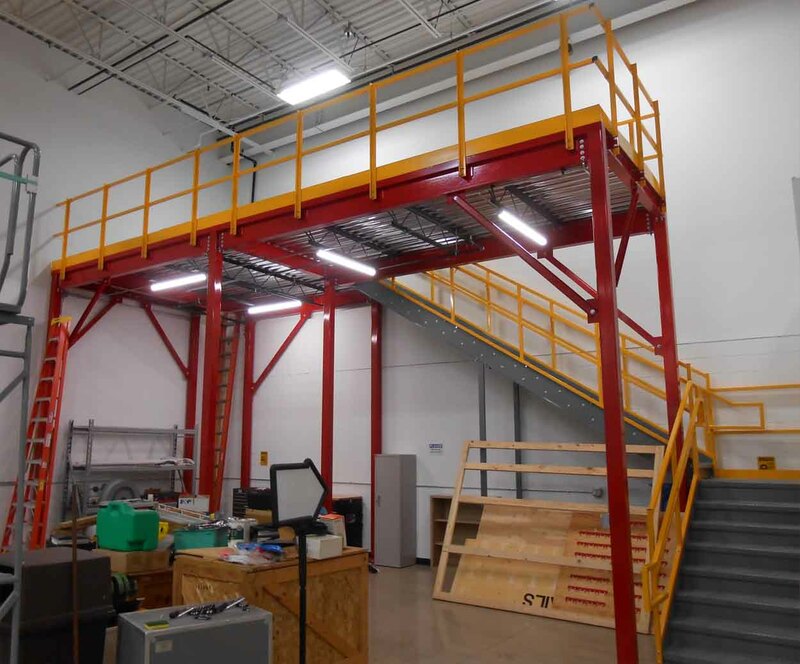 Oftentimes, officials will look at a mezzanine as a permanent addition to a building, rather than being an uninstallable piece of equipment because in many cases a mezzanine system will be a permanent part of the building. Because of this, there can be confusion in the permitting the structure, making it be labeled a piece of construction rather than equipment for the company. This becomes a larger issue when finding the structures tax depreciation. A piece of equipment is taxed over seven years, while new construction will be taxed over 31 years, meaning the company will have to spread the expense over a longer period of time, losing them money. Here at Panel Built, we believe in quality over everything else. We are always improving our products, our process, and ourselves for our customers. We understand you trust us to provide you with the best product money can buy. From concept to completion, we will work with you every step of the way to ensure the success of your project. When you work with us, you know you’re getting the most quality, cost-effective solution for your business. 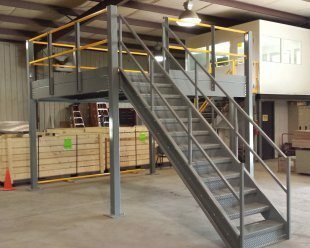 You can see more of our steel mezzanine systems in our gallery section, or if you can request a quote for your next project!